I am a native of the Bay Area of California. In the 7th grade my best friend, Bob, brought his brother’s Asahi Pentax 35mm camera to school. I looked through the single lens reflex camera, turned the ring on the 50mm lens and the subject came into focus. While viewing the world through that camera, something literally clicked in my brain. I knew photography was what I wanted to do. I simply loved composing images, constraining the world I saw to the 35mm format. That, combined with my oldest brother, Larry’s, adventures taking me to the wilderness, I was hooked on outdoor photography. At the age of 15 I wrote to National Geographic Magazine asking for advice on how to become one of their photographers. About the same time I read a book about a man who lived off the land in Alaska, away from the crowds of people. Shortly after that, 3 months after graduating high school at the age of 18 in 1978, I moved to Alaska chasing the dream of building a log cabin and living off the land. While that never materialized, I knew I was home when I arrived in Alaska. I’ve been photographing Alaska and Alaskans ever since. Jeff’s God-given talent of photography has afforded him a unique lifestyle to travel throughout Alaska photographing both editorial and corporate assignments as well as stock photography. His award-winning images have been published worldwide in books, magazines, advertisements, brochures, annual reports, websites, retail products and more. 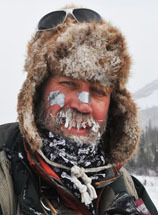 Jeff has been the official photographer of the Iditarod Trail Sled Dog Race since 1982. 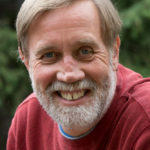 Jeff founded Alaska’s largest stock photo agency, Alaska Stock Images, in 1990 and operated it successfully until October 2012 when he sold it. Jeff continues to do what first drew him to this great state – photograph Alaska landscapes, wildlife & Alaska’s people, and share that experience with others in his photo workshops and tours. Jeff and his wife Joan and daughter Hannah live in Anchorage. Read about Jeff’s entire photography gear selection as well as his recommendations on books, software and more at Jeff’s Gear Closet. Check out Jeff’s Ask-Me-Anything sessions on Reddit.